"You’re shutting down the immigration court over the issue of immigration," said Judge Ashley Tabaddor, president of the immigration judges union. Two weeks into the partial government shutdown, the battle over the $5 billion border wall has ground key parts of the federal immigration system to a halt. Immigration courts are whittled to a skeleton staff, forcing court dates to be postponed and raising the ire of the judges already burdened by nearly 770,000 pending cases. "You’re shutting down the immigration court over the issue of immigration," said Judge Ashley Tabaddor, president of the National Association of Immigration Judges, the judges union. 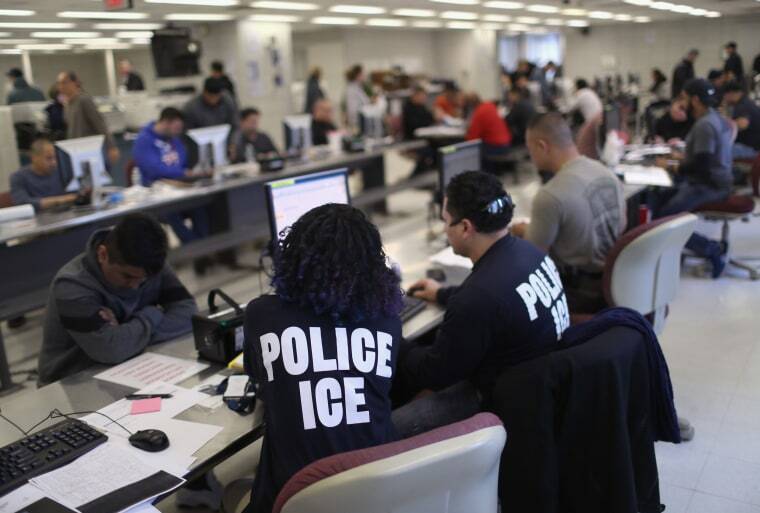 But deportations are moving forward, aided by more than 16,000 Immigration and Customs Enforcement agents, who are working without immediate pay. President Trump has issued an Executive Order to close federal agencies – including EOIR – on Mon., Dec. 24, 2018. Immigration court hearings scheduled for Dec. 24, 2018, will be rescheduled and new hearing notices will be sent to both parties. Flight records reviewed by NBC News show that since the shutdown began two weeks ago, ICE has continued regular charter flights to remove immigrants to Honduras, Guatemala, El Salvador and Cuba. Dozens of flights have also shuttled detainees between U.S. cities. But immigration attorneys and judges said that during the shutdown there hasn’t been "clear communication" about how cases are moving forward. The ICE press staff have been furloughed and aren’t responding to requests for information. On Dec. 26, five days after the official shutdown, the nation’s nearly 400 immigration judges received notice they too had been furloughed. A few judges then began to be called in individually to hear cases of detained immigrants — the only cases moving forward, Tabaddor said. All other cases would be postponed. Some may be rescheduled years in the future. "It’s going to be a huge disturbance to the orderly processing of the cases," said Tabaddor. The upheaval in the courts has sent attorneys from Ohio to Washington to North Carolina scrambling, trying to figure out what is happening with cases for clients who have sometimes waited years for their day in court. "It’s a mess," said Tim Warden-Hertz, directing attorney Northwest Immigrant Rights Project in Tacoma, Washington. "We have yet to see how it will all play out." Cases could be rescheduled and delayed into 2020 and beyond, attorneys said. That could actually benefit some immigrants, said Andres Lopez, an immigration attorney based in Charlotte, North Carolina. If there is a new administration in 2021, said Lopez, the Justice Department could potentially overturn decisions made under Trump, such as one by former Attorney General Jeff Sessions that made it more difficult for victims of domestic violence to gain asylum. Meanwhile, a Justice Department notice said detained immigrant’s cases are moving forward, as are deportations. Among those detained immigrants are four Mauritanian men, all failed asylum seekers, who have lived in the U.S. for years because the Mauritanian government does not recognize them as citizens and refused to take them back. They were allowed to remain in the U.S. with a work permit, checking in regularly with ICE. They told NBC News they fear they could be jailed, or worse if returned to a country that the U.S. State Department has identified human rights issues ranging from torture, to human trafficking to the violent silencing of anti-slavery organizations. "We’re just scared," Amadou Sow, 49, one of the Mauritanians facing deportation, said in a short phone call from an Ohio jail on January 2nd. "As soon as I get there I believe something is going to happen. I don’t know what. I might be in jail. I might be killed." The Trump administration deported 79 people back to that country last fiscal year, a more than 900 percent increase over years prior, according to an NBC News analysis of ICE data. Many of them were, like Sow, black Mauritians born into slave castes who human rights experts say face persecution if returned. The State Department has documented myriad human rights violations toward black Mauritanians. In November, the Trump administration also terminated trade benefits with Mauritania for its insufficient progress in eradicating the "scourge of hereditary slavery." The stepped-up deportations of Mauritanians have drawn outcries from Democratic lawmakers and human rights organizations. "These men are being sent back to a place where they could be harmed or enslaved," said Adotei Akwei, deputy director of advocacy and government relations for Amnesty International USA. Sow said he was told he and the three other Mauritanians would likely board a specially scheduled charter to Mauritania within the next week. A similar charter in October took about 19 hours to reach the country, according to a man who was on that flight who spoke to NBC News by phone in November. ICE says charters run about $7,800 per flight hour. At that rate, Sow’s flight would cost approximately $148,000 one way. 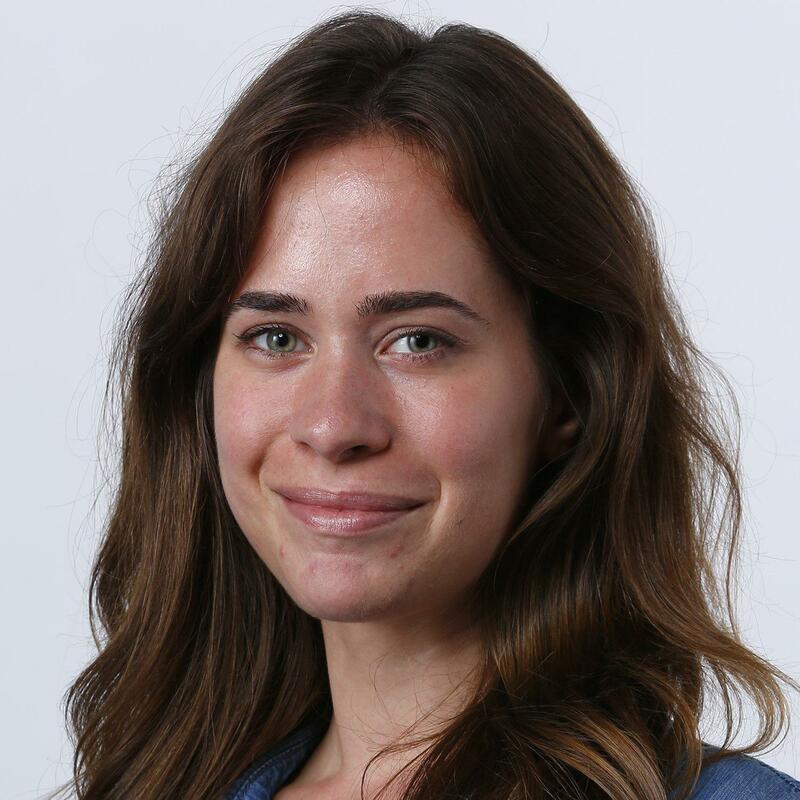 "There’s been waiting, frustration and fear of the unknown, and now it’s full court press, even amid a government shutdown where budget is limited," said Alexandria Lubans-Otto, Sow’s attorney. "There is no reason to prioritize the removal of these people, to a place where their lives are endangered." ICE did not respond to NBC News’ request for comment. An auto-response email noted media staff are "prohibited by law from working" during the shutdown. On Thursday, members of the National ICE Council, the union that represents ICE agents, appeared with President Trump in his surprise press briefing in which he reiterated his commitment to the wall, and praised both ICE and Border Patrol agents, who are also working without pay. Like border security and immigration enforcement, the cases of detained immigrants are considered an essential function and therefore moving forward. But hearings for immigrants who aren’t in detention have all been cancelled. Postponing hearings for asylum seekers could mean the case goes stale. People hoping to get their orders of removal cancelled based on their relationship with minor children or aging relatives could miss their window to do so if children turn 18 or a relative passes away. There are also immigrants with criminal records who may not be currently detained, but whose cases should be reviewed, said Tabaddor. Tension between administration officials and the immigration courts has been brewing since soon after Trump’s inauguration. The courts sit underneath the Department of Justice. The prosecutors and judges are thus employees of the executive branch, not the judicial branch of the federal government, and answer to the Trump administration's attorney general, a political appointee. In 2018, then Attorney General Sessions imposed quotas on the immigration judges and leaned on them to move more quickly through complex cases, including asylum claims. While more judges were appointed, they were not given the necessary support staff to deal with the heavy caseloads, said Tabaddor. Just before the shutdown, the courts received word they would receive fewer in-person interpreters because the budget hadn’t been properly calculated, leaving the judges to depend on a clunky system of interpretation by phone. It’s not clear how the shutdown will impact the current mandate that judges clear 700 cases a year to avoid getting dinged on their performance reviews. In addition to the quota, the Justice Department last year imposed a new policy that allows 300,000 closed cases to be reactivated, which data shows could grow the current backlog to over 1 million cases. "We’re not dealing with widgets on a factory assembly line just being pushed through the system," said Tabaddor. "We are dealing with humans. What we do has tremendous impact on people’s lives." On Friday, Sow's attorney Lubans-Otto got word that the only part of the Bureau of Immigration Appeals that’s up and running had granted an emergency stay for Sow and another of her clients, allowing them to remain in the U.S. until their cases are decided. She said she doesn't know when that will happen. It will also depend on whether they remain detained. But for Sow’s family, which has spent weeks worrying about receiving a call that he’d been put on a plane, the stay is their first measure of relief. "I can’t even begin to describe it," said Awa Harouna, Sow’s 23-year-old daughter. "It’s like I can finally breathe again."